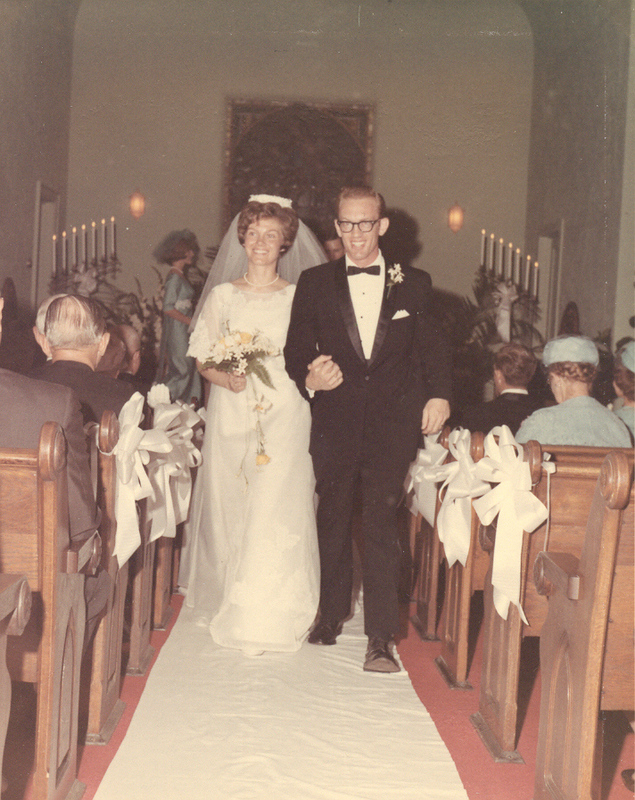 Today would have been Jim’s and my 45th wedding anniversary. Happy memories of our life together help diminish the pain of missing him. The birth of our first child, then the second, then the third…..
A son and daughter-in-law and six grandchildren added to the family…..
Ministry together in four countries on three continents….. Without a doubt, my greatest memory is of a husband who loved me unconditionally and sacrificially ― who showed me his Christ-like love in countless ways. This truth was confirmed in my heart when one of Jim’s former seminary students shared his memories of my husband. In one particular class session, he told me, Jim had taught the Bible’s instruction regarding the love a husband should have for his wife: “Husbands, love your wives, just as Christ also loved the church and gave Himself up for her” (Ephesians 5:25). I thank God for giving me a husband who loved me just as He instructs in His Holy Word. I can enjoy happy memories because he applied God’s principles to his life. Today I celebrate 43 years of memories shared with a man who lived the truths he taught. Happy Anniversary, my Love. Question: Do we know and apply God’s principles to our lives? Do we live them in our family relationships? Thank you, Mary. I daily count my blessings! Yes, Harriet, you were blessed and we were blessed to have Jim as our friend, growing up. He was a “man after God’s own Heart” and that is why God directed him to you, as you are a “Woman after God’s own Heart, too..Blessings on you and your family and so glad that Steve is doing well. Truly I was blessed to be married to this “man after God’s own heart.” Jim has forever impacted my life. I am glad to still be in touch with you as one his friends from his growing up years. I love being part of the Bouchillon family and their friends! Blessings to you, as well. What a beautiful tribute to Jim, Harriet! I too am thankful that you have wonderful memories. God’s great grace is definitely blessing you, even today. Oh yes, Judy, God’s grace is so evident in my life and I can only praise Him. I am thankful to be part of the Bouchillon family. You had a wonderful brother and parents, and I love you and Elaine as sisters. I am blessed. You were a handsome pair 45 years ago. What a treasure are those memories of a faithful husband and his love for you. We don’t understand God’s ways, but we still trust Him as our Good and Loving Father. And the best is yet to come! Thank you, Anne. Isn’t it wonderful to have good memories with no regrets, just as you do? We were truly blessed to have the husbands we did. The good news is that God’s blessings and love never cease and, just as you said, we have so much to look forward to! Thanks for sharing this, Harriet. Praying for you today, for extra “hugs” from the Lord. You radiate God’s grace and love. Jim and you showed everyone around you what a godly, loving marriage was meant to be. Just as God’s love for you never ends, neither does Jim’s love for you. God has blessed me so much, Cherri, and every day shows me His amazing love for me. I was blessed to have Jim for my husband. What wonderful memories you have, and the article was beautifully written. I’ve gone back and read your other stories. What a blessing it was to me reading them. Loved hearing about your trip “home”. Specially since I share that same hometown. Our paths have finally crossed after so many years. Will continue to read your inspiring stories and love staying in touch. What a true women of God you are. Hello Sheryl. This is incredible! I don’t know how you came across my blog, but I am so excited to be in touch with you after so very many years. Thank you for writing. I hope to learn more about the path your life has taken since we last saw each other. I would love to stay in touch. Blessings to you, Sheryl.